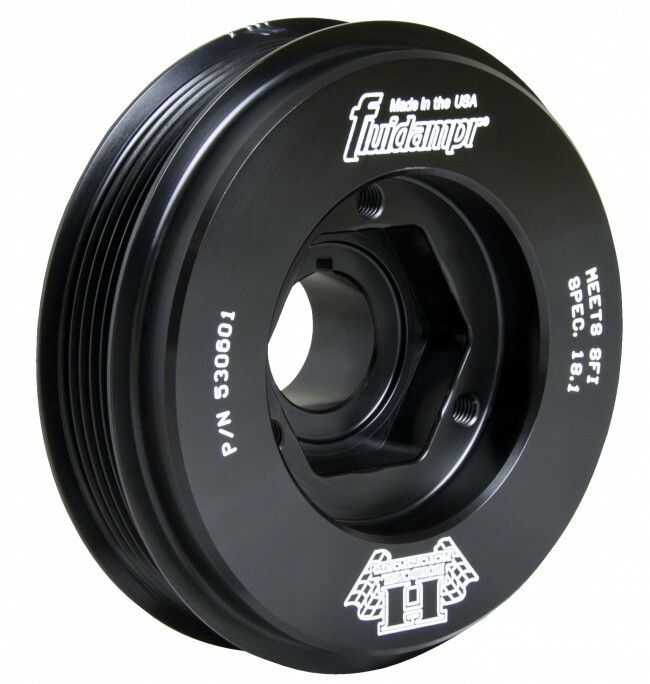 A Fluidampr performance damper provides premium, long lasting protection from damaging torsional vibrations when engine upgrades are made. 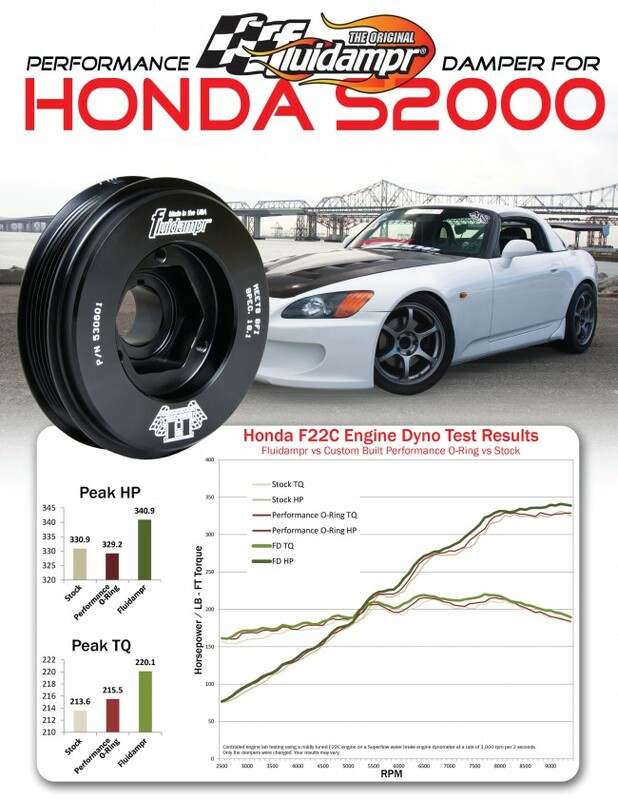 By controlling all torsional vibrations throughout your rpm range, Fluidampr improves performance, reduces wear of critical engine components and reduces the risk of crank failure. Fluidampr's viscous silicone damper technology features cnc machined and computer balanced high-grade steel components and is finished with a brilliant black zinc chromate. Accepts OEM style crankshaft pulley tool for easy installation. 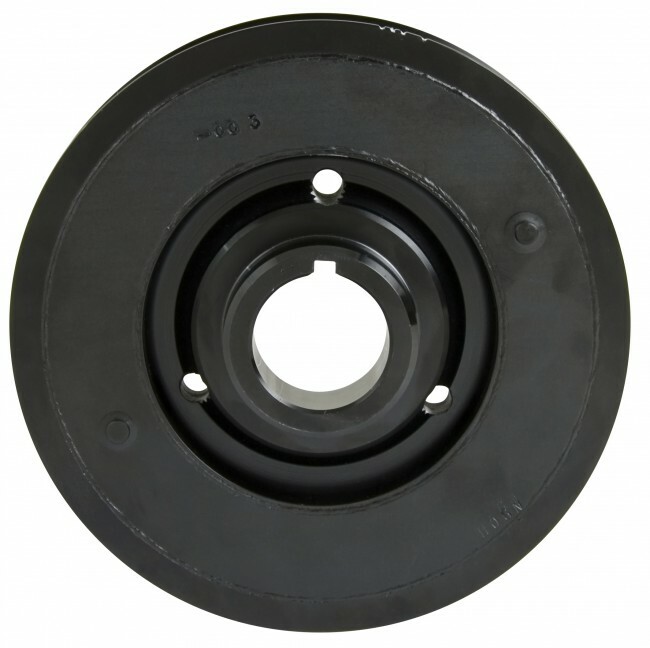 Stock size pulley does not overdrive/underdrive accessories. No tuning or maintenance is required. SFI 18.1 approved. Made in USA. ISO 9001:2008 certified.